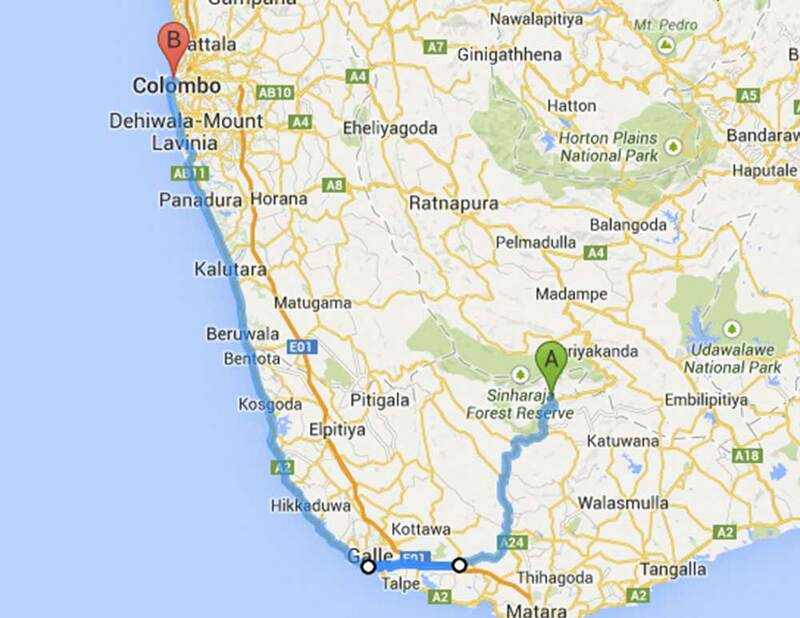 I will go from Ambalangoda to Deniyaya. Does bus Nr. 60 stop in Ambalangoda? Is there a timetable? I”m sure you’ll be able to stop in Ambalangoda, but check with the conductor on the bus. Can i know the daily time table from Colombo to deniyaya ,and i want to know that how long will it take to arrive Moratuwa. We are visit akuressa tomorrow and we want to go to kalurara after this. When will the last bus (no. 60?) starts in akuressa? I’m not sure it passes through maharagama..
we are 7 people planing to visit sinharaja on 1st of september. from colombo there is any buses to deniyaya early morning? if not how can i go to deniyaya from colombo early morning. I’m aftaid we don’t have timetables for all the routes. Busses tend to start from around 5:30 / 6 am. Otherwise you could rent a private van which would be more comfortable.